Chance The Rapper has been all over the news the past several weeks. Last week, the 23-year old Chicago rapper made headlines after announcing his $1 million donation to Chicago Public Schools. Shortly after, Chicago Sun Times reporter, Mary Mitchell would see much deserved backlash about her negative article on Chance as a father, just days after he announced his major contribution. 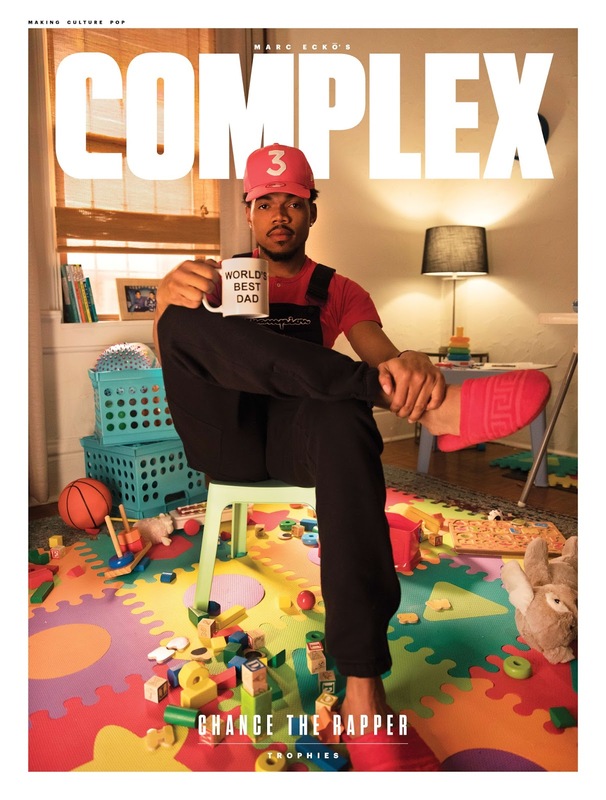 And while all this is still fresh, Chance, who is pictured on Complex's latest issue—sits down with Complex's Chief Content Officer Noah Callahan-Bever (who is also a new father) to discuss being a parent, winning Grammy's and possibly moving back in with parents to become closer to his family. Read an excerpt of the interview below and watch the full video at the bottom. What are your thoughts after watching the interview?